Do you enjoy winter sports but don’t want to miss the opportunity to enjoy a city as monumental and cultural as Barcelona? You don’t want to spend your holidays locked in a ski resort? Do you find the prices of a rental apartment in the Pyrenees too expensive? Don’t worry, because you can enjoy the city of Barcelona without having to give up a day skiing and doing some tourism in the Pyrenees, accessible in just an hour and a half. One of the greatest natural and tourist-wise characteristics ​​of the city of Barcelona is its magnificent location: on the shores of the Mediterranean sea with a mountain range as a backdrop, and located as well as on the mouth of two rivers that makes it a perfect escape into the forest, hills and waterfalls in just a matter of minutes. But we don’t have to stay in the most immediate environment of the city: in only an hour or two we can reach other places like Montserrat mountain range, the Montseny Natural Park or the imposing Pyrenees, where we can even visit others countries such as France or Andorra. Do you want to discover the possibilities of skiing in Barcelona? Do you want to hike at 3,000 meters of altitude? In a one-day trip you can enjoy it all without having to leave your comfortable apartment in Barcelona. How to move to the Pyrenees from a Barcelona apartment? Depending on the activities we want to do (hiking, skiing or just enjoying the outdoor environment), we would do a trip between an hour and a half and 3 hours. This means that we can plan this day-out trip comfortably from Barcelona in our apartment in Entenza street since the train station of Sants is located just five minutes away. If we decide to take the train, we can visit the ski resort of La Molina-La Masella to practice winter sports. This will take 2 hours and 40 minutes each way, which is quite a short time considering that it is 150 kilometers away. If we decide to rent a car, it’d be possible to do it from the same station of Sants. Another very nice place that also has facilities for sports is Vall de Núria, which is two hours and fifteen minutes by train, and you’d be able to travel on the emblematic train rails that run between the valleys. The perfect plan to have a complete perspective of the Pyrenees is to visit the small country that hides among the mountains: Andorra. A place to relax and enjoy what the mountains offer. 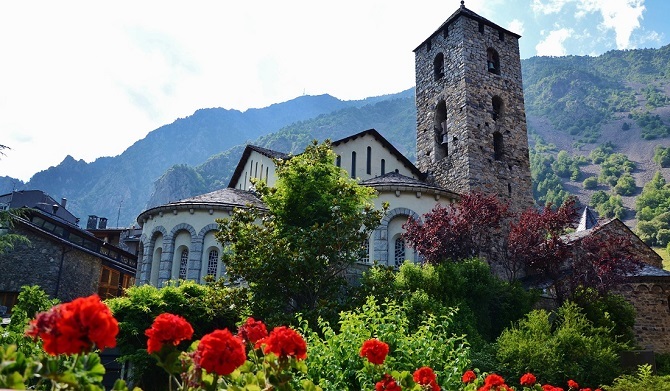 Its capital, Andorra La Vella, is located just 2 hours and 40 minutes away, and it can also revive the feeling of being in another country to add to our list. 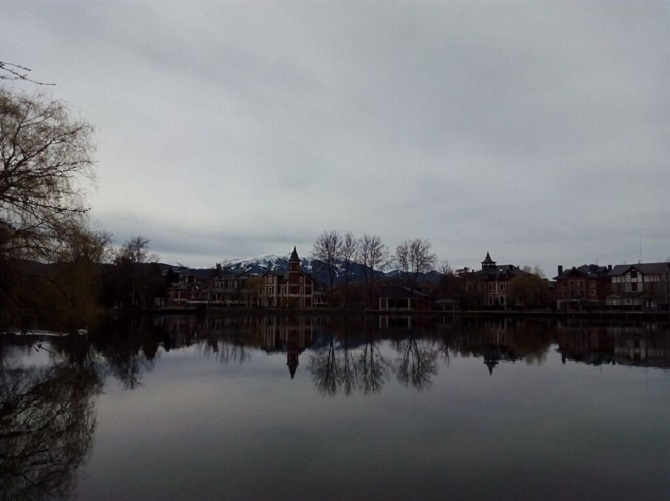 The city is full of beautiful alpine-inspired streets, a totally surrounded natural environment of mountains in a 360º view, spas and thermal baths, and a lot of shopping to do thanks to its tax-free advantages. 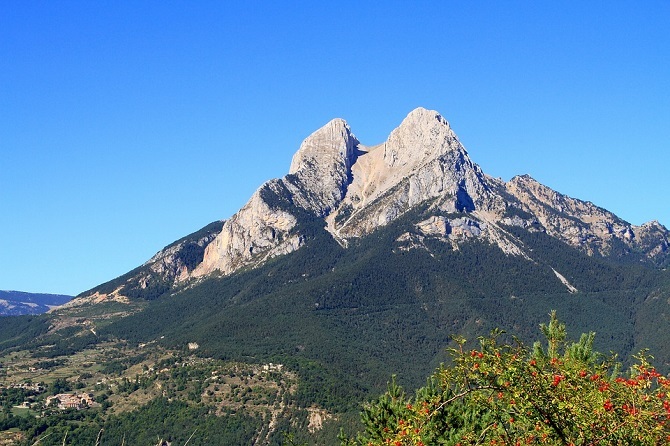 What to see in the Pyrenees if you stay in an apartment in Barcelona? Visit the charming village of Puigcerdá and its outdoor activities: in just two hours we can be located in this beautiful mountain village and enjoy its culture, its elegant artificial lake and its manor houses. Stay at the gates in the medieval village of Solsona: on the same road that leads to Puigcerdá but in the province of Lleida, this amazing mountain village is located in the region known as pre-Pyrenean, where even if there are no peaks of more than 3,000 meters, we find incredible mountain landscapes and great lakes. Just an hour and a half from Barcelona. Strolling on a volcano: the area of ​​La Garrotxa, facing the Pyrenees looking from Girona, consists on an extensive forest that rests on the top of a volcanic area that is bordered by beautiful villages such as Besalú, famous for its almost complete medieval aspect, or Banyoles, home to a lake of impressive proportions. Combine the best beaches and mountains: the eastern end of the Pyrenees allows, in a matter of minutes, to pass from a wonderful cove in the Costa Brava to the beginning of the border with France. A contrast of magnificent landscapes that allow you to pass through places of interest such as Figueres (Dali’s hometown), Pals (along with Besalú, the medieval village par excellence of Catalonia), Tossa de Mar and other spots with great charm. Make the most of your holiday apartment rental in Barcelona and do not hesitate to travel around the whole region without changing plan and places. Enjoy Catalonia with AinB!